As I went to meet my friend for dinner last night. I saw something very strange. 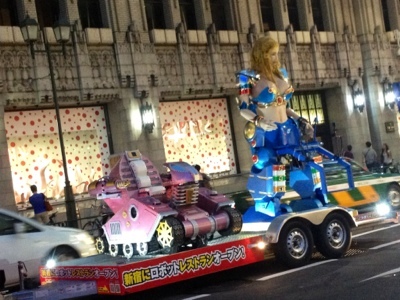 A huge truck passed by carrying a large female robot. It was gone in just moments before I could concept the whole idea. But it happened. Many many more times. 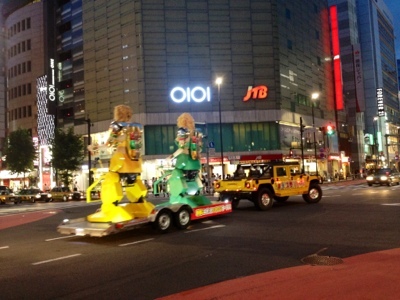 Seems a new robot restaurant has opened in shinjuku. Now this is a must see. Now to just find some takers to come along for the fun!